(Nuclear) power to the people! True enough: 70 years ago saw the world's only wartime use of nuclear weapons, when the USA dropped the devastating weapons on Hiroshima and Nagasaki, leading directly to the end of WWII. Reminiscences and cautionary tales abounded over the past week, and why not? No one wants to see such destructive power ever used again, anywhere. Hundreds of thousands of Japanese, overwhelmingly civilians, perished within seconds of the detonations on the 6th and 9th of August, 1945 (respectively), and many more over the course of the subsequent weeks and months. This anniversary has apparently inspired the UK-based medical journal, The Lancet, to publish a 3-part series this week describing the dire consequences of a nuclear disaster, and detailing medical and humanitarian responses. The series is entitled From Hiroshima and Nagasaki to Fukushima, with this sub-title: Long-term psychological impact of nuclear disasters. The papers were authored by academics in Japan, and coordinated by Koichi Tanigawa of Fukushima Medical University and Rethy Chhem, formerly of the International Atomic Energy Agency. There is as well an editorial, A nuclear shadow from Hiroshima and Nagasaki to Fukushima, attributed to The Lancet. The problem with this series putative goals is obvious, to anyone who has paid attention to the issue of nuclear power s risks and benefits: there have been no nuclear disasters. The A-bombs dropped on Japan to end the war were hardly accidents, and can be construed as disasters only in the context of WWII itself being the world s greatest disaster as a whole. The only nuclear accident with measurable impact on human life and health occurred as a result of the Chernobyl accident in April of 1986, which released large amounts of radionuclides into the forests, farms and rivers of Ukraine and Belarus. Yet, the death toll due to radiation from the highly-unlikely constellation of bad-planning, incompetence and bad-luck in that Soviet-era reactor has been calculated to be 31 thirty-one dead workers, immediately from the explosion and among heroic fire-fighters. Some groups such as devoted anti-nuclear activists, Greenpeace and Union of Concerned Scientists predicted thousands more from various radiation-related ailments, but other than an uptick in cases (not deaths) of thyroid cancer (likely due to better case-seeking/outreach and diagnosis), no late-term radiation-related outcomes have been detected. What about the Fukushima nuclear meltdown and all the heroic deaths of workers there, exposing themselves to lethal doses of radiation while performing super-human exploits to save the reactor? Well, what about them? No one died. True, some radiation leaked into the surrounding region, but not enough to provoke adverse health impacts. Nevertheless, somewhere between 200,000 and 300,000 Fukushima prefecture residents were evacuated, most of whom remain exiles today. It has been reliably estimated that perhaps 2/3 of those forced from their homes have some health issues to deal with overwhelmingly of the mental health variety. While at least 20,000 died in the tsunami which followed the level 9.0 earthquake, estimates of stress-related deaths among the displaced evacuees run between 500 and 2,000. And given the official WHO findings that at no time were levels of radioactivity in the region a realistic health threat, the conclusion is clear: fear of radiation, among the population and especially among the government officials, was the real culprit in March 2011 and thereafter. 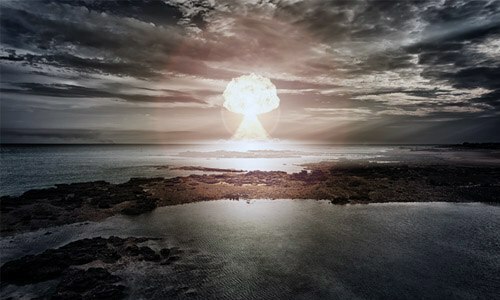 So now the Lancet has opted to publish a series on how to protect a population from nuclear disaster, and how to deal with the horrendous health effects of such an accident. The journal notes that there are still 437 active nuclear reactors worldwide, and estimates how many millions of ordinary folks live within a 30 km radius of a power plant (the answer: many millions), and reassures us thusly: paper #3 ¦will discuss what can be done to protect the millions of residents who might be exposed to radiation in the aftermath of another nuclear accident, and how to minimize potential harms to their physical and mental health. Examples include responding to parental concerns about cancer risks for children and helping evacuees adjust to new places. In 2006, he authorized the publication of a computer-modeled study purporting to tabulate the number Iraqi civilian deaths from the American-led 2003 invasion at 655,000. This number was widely ridiculed as being a purely political attempt to cast aspersions on the invasion itself, and on the credibility of the US and UK governments for their alleged falsehoods. He is perhaps most notorious for his decision, in 1998, to accept for publication a clearly flawed study by Dr. Andrew Wakefield linking children s neurodevelopmental issues to an intestinal ailment secondary to the MMR vaccine. The tabloids initially, then it seemed all the media, jumped on this publication to indicate a link between vaccines (in general) and autism. He defended his bizarre decision by saying that, while the data were sketchy, he wanted to stimulate debate on the topic. The immediate impact was a significant decline in children s vaccination rate in Europe, and within a short time over here as well. The stubborn myth about vaccines and autism has probably led to hundreds of thousands of preventable infections and who-knows-how-many deaths among unvaccinated children? (Dr. Wakefield s work was shown to have been completely fraudulent, and he lost his medical license). Dr. Horton has never accepted responsibility for the Wakefield travesty, nor has he apologized for it, although the article was retracted. I mention these well-known political science decisions (there are others) to provide some perspective on the current Lancet s nuclear disasters are coming, be prepared! articles. Horton is apparently aiming to exploit the Hiroshima/Nagasaki remembrances to foment his anti-nuclear energy scaremongering. Anti-nuclear energy activists have been around since the dawn of the atomic era, generally from an anti-war position. Now, those opposed to this clean and safe energy source have mounted the podium of Green environmentalism, conflating nuclear energy with climate change and fossil fuels. However, from a carbon footprint perspective, the opposite is the case: nuclear energy supplies many fold more units of energy per greenhouse gas emitted than any other source, except the classic renewables (sun, wind, hydro). Nevertheless, the deep green fringe reflexively opposes any technology that might interfere with progress towards the adoption of sustainables. That s why among the horde of marchers last fall in New York s Climate Change march, a section was reserved for anti-nuclear, without apparent irony. There have been two level 7 nuclear accident/events the worst kind and the toll from released radiation has been 31 dead, a number well below the annual mortality among workers in many other industries. While Germany (over)reacted to Fukushima by shutting down its nuclear industry, Brazil, China and the UK are constructing new reactors, and many other EU nations depend on nuclear power for much of their energy needs. In fact, even Japan is re-opening one of its shuttered nuclear reactors.